Mainstay’s Broker / Dealer services provide our clients with the regulatory and compliance expertise necessary to meet the ever changing challenges of the current regulatory environment. We tailor our services to meet the needs of our clients so they can ensure compliance with the applicable rules and regulations. We don’t sell our clients a product; we deliver a solution. The FINRA membership process can be a time-consuming and demanding process. Mainstay’s consulting staff includes former FINRA staff members who understand the nuances of the application process. Timely registration and qualification of all associated persons. The registration process actually begins several months before an application is submitted to FINRA. A Mainstay consultant typically works with the applicant during this period to properly organize the business plan, complete the application and draft the documents that must be submitted with the application. FINRA’s "Tools" web page offers considerable guidance on how the required documents must be prepared. At Mainstay, our consultants have many years of direct hands-on experience with the membership application process. As such, we are uniquely positioned to provide the assistance needed to successfully complete the FINRA membership process. Contact a Mainstay consultant to request additional information. 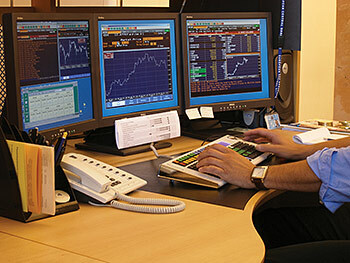 Mainstay Capital Markets Consultants, Inc. can assist with the formation of new Brokers / Dealers. For more information,click here.